If you like ‘Guardians Of The Galaxy’ series and Bollywood, this would be the best thing you watch on the internet today. 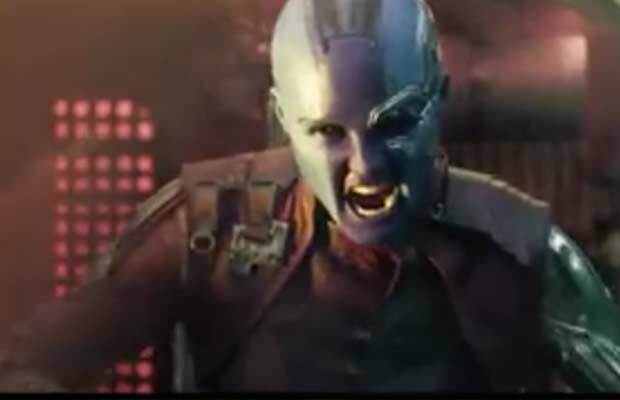 In the latest trailer of Guardians of the Galaxy Vol. 2, Marvel featured the popular Bappi Lahiri song, ‘Jhoom Jhoom Jhoom Baba’. Seems like in Marvel, we have a huge Bollywood fan. Remember ‘Mera Joota Hain Japani’ in Deadpool? Wasn’t that uber cool? And now this! Surely you felt your chest inflating, just a little. If you are born in this century and are wondering what song is that, here’s tidbit for you. The song is originally from the 1984 film Kasam Paida Karne Wale Ki and featured Mithun Chakraborty and Smita Patil. Surprisingly, the song doesn’t look out of place at all. The disco beats and feel of the song fits right into the intergalactic superhero drama. Guardians of the Galaxy 2 stars Chris Pratt, Zoe Saldana, Dave Bautista, Vin Diesel, Bradley Cooper, Chris Sullivan and Sylvester Stallone. The film is set to hit the Indian theatres on May 5 in English, Hindi, Tamil and Telugu. Next articleNandita Puri Reacts To Husband Om Puri’s Ghost Video, Calls Pakistani Anchor A Joker!